Can ‘feminist’ foreign policy of Sweden be a trendsetter? Feminist foreign policy “applies a systematic gender equality perspective throughout the whole foreign policy agenda”, the handbook states. Recently, the Swedish foreign ministry released a handbook pertaining to its feminist foreign policy initiative and made it available online as a guide for those interested in gender equality. It is an inspirational document with valuable information about how Sweden created its feminist foreign policy under foreign minister Margot Wallstrom in 2014, how it changed from top-down policy to becoming part of the entire Swedish Foreign Service, and the results it has achieved. Feminist foreign policy “applies a systematic gender equality perspective throughout the whole foreign policy agenda”, the handbook states. It is structured to increase women’s ‘rights’, ‘representation’ and ‘resources’ in every aspect of its operations. It uses a facts-based approach, pointing out the hard numbers and statistics behind systemic inequalities between men and women in each of the three R’s, while remaining grounded in the fourth R — the ‘reality’ of where these girls and women live, which is a nod to the feminist concept of intersectionalism. The policy was met with great resistance when it was launched four years ago. 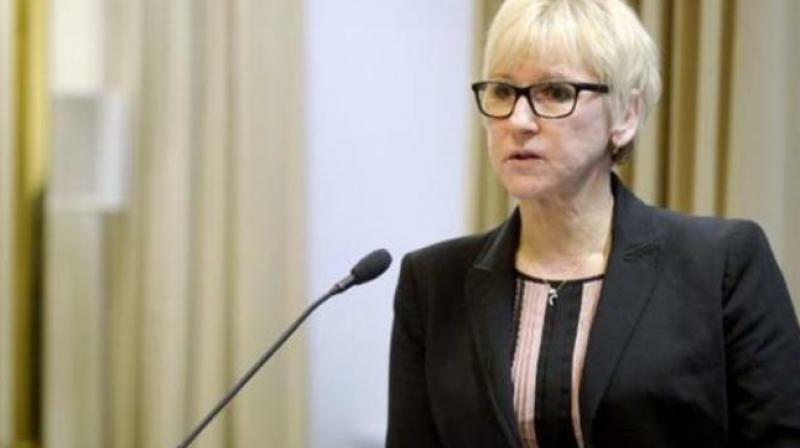 Critics said it was unrealistic and hypocritical, pointing out Sweden’s participation in global arms sales and its abstention from voting against Saudi Arabia’s election to the UN’s women’s rights commission in 2017. Even the use of the word ‘feminist’ to describe a foreign policy was considered provocative. Ms Wallstrom and her colleagues, Isabella Lovin, minister for international development cooperation, and Anne Linde, minister for EU affairs and trade, did not back down. They outlined six external objectives: globally, the foreign ministry would promote women’s full enjoyment of human rights; freedom from violence; participation in conflict resolution and peace-building; political participation and influence; economic rights and empowerment; and sexual rights and reproductive health. The ministry created an organisation to implement the policy, a 10-year national strategy to prevent and combat gender-based violence, and a new structure for sub-goals. Today, the ministry reports an increase in actions aimed at bringing about true gender equality — through structural change and an increase in girls’ and women’s visibility — wherever Sweden’s foreign interests lie. Action plans for women’s rights and empowerment have been built in conflict zones in Afghanistan, Colombia, Liberia, Syria, Mali and Myanmar. Positive masculinity has been promoted in the Democratic Republic of Congo to address sexual violence by militias against Congolese women. Canada and France have followed Sweden’s example with feminist foreign policies of their own. Such foreign policy had to be encouraged to grow organically, not imposed, especially in countries where social and religious conservatism have an almost unbreakable hold over governance. The Swedish foreign ministry has followed through with their commitment to intersectionality, provinsg that feminist foreign policy is not merely a Western intervention, but a true effort to co-create a new way of enacting foreign policy globally. Could Pakistan ever include the principles of inclusion and gender equality into progressive social reform in the same areas as Sweden’s focus? It remains difficult to break Pakistan’s traditional power structures, built as they are on “a patriarchal status quo”.